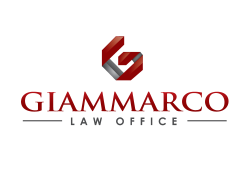 Established in 1983, Giammarco Law Office PLLC is a full-service law firm committed to the personalized and high-quality representation of its clients, ranging from corporations and small businesses to individuals. Our firm’s extensive trial experience, unique connections and exceptional legal talent allow us to effectively represent our clients in today’s ever-changing and complex world. Our mission is to listen to our clients, understand their objectives and tailor a legal strategy that exceeds those objectives. For a complete list of our practice areas, please click here.